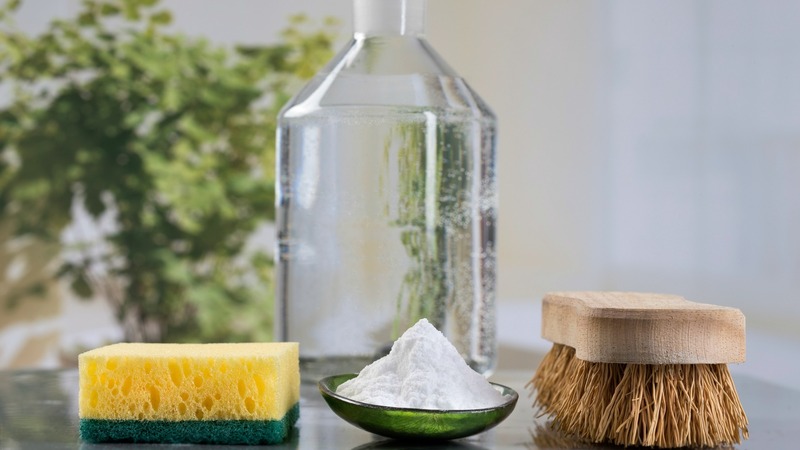 Who would have thought that plain ol’ white vinegar would be the hero of household chores? If we’re keeping it real, we have to throw it out there that vinegar stinks. Like, literally. It has a pungent smell, so one wouldn’t normally associate it with cleaning — unless we’re talking about the age-old vinegar window washings that have been going on for decades (if not longer). But if you’re not using vinegar in your everyday cleaning repertoire, you’re missing out, friends. Stinky vinegar can actually even help you deodorize other stinky stuff. Not only that, vinegar is budget-conscious, eco-friendly and available pretty much everywhere. It’s a no-brainer. You might have seen them before on Pinterest, but we’ve made it easier for you by gathering some of the best quickie vinegar hacks in one place. Who knew one little ingredient could be used to sanitize or even marinate meat? To clean the baked on crud that’s on the inside of your microwave, add 1/4 cup of vinegar to 1 cup of water in a glass bowl. Microwave on high for five minutes and voilà! It’ll be a cinch to wipe off all the gunk. For shoes that smell brand new, just soak the insoles in warm water and a bit of vinegar before letting them dry completely. Add vinegar to the toilet bowl and let it sit for a few minutes before using a brush to scrub it clean. Your commode never looked so sparkly. Check out our handy infographic for even more nifty unexpected vinegar household uses. Originally published February 2015. Updated October 2017.